Families have to proceed cautiously with Auto and Property Insurance matters affecting young adults going to college. Living on campus with no regular access to a car? Driving regularly at college, or is commuting / attending a school nearby? Covered when he/she wants or needs to drive a car? If your child is away at school we need to make sure you have Off Premises Theft included on your policy. Now is the time to contact us to discuss your insurance needs. NEW YORK (Reuters) – Donna Childs recently bought a home in Rhode Island about 5 minutes from the Pocasset River, and, despite past flooding, everyone told her she did not need flood insurance. As a risk management expert, she knew better. “I’m far from the water, but basically for the cost of a Starbucks (coffee), I can have insurance,” Childs, author of “Prepare for the Worst, Plan for the Best,” said in a recent interview. It is natural to think that “100-year flood” means that once a big flood hits, you then have 99 more years before you have to worry about another one. But what it actually refers to is a flood event that has a 1 percent chance of occurring in any given year, said Lynne McChristian, consultant with the Insurance Information Institute and a professor of risk management at Florida State University. Sonya graduated from Long Island University in May of 1994 with a B.S. degree in Psychology. In November 1991 she started her insurance career with Arthur Chernick Company in NYC as a personal and commercial lines technical assistant. In May of 1998 she joined The Mogil Organization in the Commercial Lines Department as an assistant Account Executive. In January 2012 she became Manager of the Select Commercial Lines Department. In August 2013 she was named Vice President Commercial Lines and in September 2015 she became our Chief Operating Officer. The Travelers Companies, Inc. (NYSE: TRV) today launched its Every Second Matters national initiative targeting the distracted driving problem. Through a series of forums held across the country by the company’s public policy division, the Travelers Institute, the campaign looks to bridge the gap between why many believe distracted driving is dangerous, yet nearly a quarter of Americans admit to doing it. “The National Safety Council reported more than 40,000 traffic fatalities in 2016,” said Joan Woodward, Executive Vice President, Public Policy and President of the Travelers Institute. “Distracted driving is a contributing factor and it’s a problem that won’t go away without understanding its causes and promoting safe behavior. Mogil Organization, LLC will continue to remind our valued clients of any notice of cancellations that are mailed from the insurance companies in regards to a late payment. When we receive the notice, we will contact our insured via email. In the event that we do not have an email address, the insured will be contacted via telephone. The second contact will be made approximately 3 business days prior to the cancellation date. ***In the past, a second reminder was sent 10 days prior to the cancellation date, this will no longer happen. It’s still not clear how severely Hurricane Matthew will affect South Florida, but it’s time to make sure you have the things you need in your home. Don’t wait until the last minute because lines will be long and supplies short. Fully charged battery-operated lanterns. Don’t use candles and kerosene lanterns. They are fire hazards. Get enough nonperishable foods now to last two weeks. Then put them in a box and leave them alone. In recent years, properties in the United States have been hit hard by natural disasters, with the largest insured loss event occurring in 2014, according to the Rocky Mountain Insurance Information Association. Property and casualty insurance industry catastrophes losses in the United States rose to $15.5 billion in 2014, up from 12.9 billion in 2013. As a result, claims rose to 2.1 million in 2014, compared with 1.8 million in 2013, the association reported, citing that each year about 6 percent of homeowners file claims. But homeowners aren’t the only ones who are affected by these catastrophes. As we approach this hurricane season, businesses should ensure they have an emergency preparedness plan in place in order to mitigate losses should a storm occur. Floods can occur anywhere, anytime, with little or no warning and businesses must make preparations so that if flooding occurs after a storm, they are able to remain open, or reopen quickly after a flood disaster. Your level of preparation before a hurricane can determine how well you weather the storm and how quickly you recover from it. You should start preparing your home, inside and out, long before a storm is in the forecast. In the end, you can never be too prepared when it comes to protecting your loved ones and your property from extreme weather events such as hurricanes. You may hear the terms “hurricane watch” and “hurricane warning” in your local forecast. Understanding the difference between them is essential to helping you prepare for a hurricane. As soon as a hurricane watch or warning is forecast for your area, it is important, depending on the type of alert, to immediately begin or complete your preparations. A watch means hurricane conditions are possible within 48 hours. You should begin to stock up on emergency supplies in the event a warning is issued. As if texting and e-mail weren’t enough to capture people’s attention as they are walking or driving, now Pokémon Go is creating yet another reason to take your eyes off the road or not watch where you’re walking in the airport, at the mall or on the street. It’s only been available for two weeks in the United States, but Pokémon Go has become the latest technology craze to mesmerize gamers of all ages. The game allows players to cross over from the fantasy world of Pokémon to explore the real world as they look for creatures with names such as Diglett, Ponyta and Doduo, which can appear anywhere ― on someone’s shoulder, along a walkway, in a trashcan or behind a light pole. The app was created by San Francisco-based software developer Niantic Labs, and can either be downloaded from the Pokémon website or through Google Play, which required users to login via their Google credentials, giving the app access to all of a users’ Google-related information such as Gmail, Google Docs and Google Photos, or through iTunes for the iOS platform. One serious on-the-job injury can potentially cost a business owner tens of thousands of dollars in wage-replacement costs, replacement-hire costs, regulatory fines and lost productivity. One important way insurance agents can provide a valuable service that strengthens their client relationships is to help business owners establish a culture of workplace safety. In addition to reducing the risk of incurring injury-related expenses, making the necessary investments to become a safer workplace can save a company money over the long-run. The Occupational Safety and Health Association estimates that business owners can save $4 to $6 for every dollar invested in a safety program. Also, many workers’ compensation insurance carriers offer discounts to companies that have workplace safety plans, which can result in lower premium costs. Creating a culture of workplace safety often starts with a written plan that demonstrates a business’ commitment to make it a strategic priority. Fortunately, OSHA and some insurance carriers provide free resources, tools and services that agents can offer to help their clients get started. The U.S. Consumer Product Safety Commission reports 230 people on average go the emergency room every day with fireworks-related injuries in the month around the July 4th holiday. In 2013, there were eight deaths and an estimated 11,400 consumers who sustained injuries related to fireworks. Interest in cyber coverage is at an all-time high, and those who previously thought it a luxury — or not a necessity — are taking a much closer look at their exposures. A recent Marsh report shows that cyber insurance purchases grew 32% in 2014 when compared with 2013, and up 21% in 2013 over 2012. “The yearly increase shows that organizations see cyber as a risk to be managed, not merely a problem to be fixed by IT,” the report asserts. 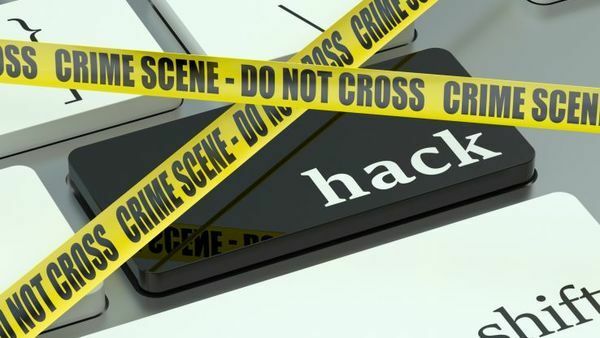 Damian Caracciolo, vice president and practice leader at CBIZ Management & Professional Risk, said that cyber attacks affect all industries, but the type of attack deployed depends on the industry to which the company being targeted belongs.